Jabil Electronic launched its cloud computing and radio frequency (RF) technology R&D center in Wuxi on March 5, aiming to develop a 5G communication equipment manufacturing industry. 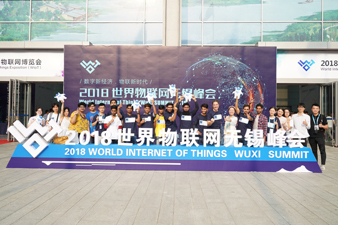 Jabil Group, one of the world's largest electronics manufacturing service providers, has a wholly-owned subsidiary in Wuxi city, East China's Jiangsu province, manufacturing communication equipment, data storage equipment, and consumer products. In 2018, its output value for electronics reached 16 billion yuan ($2.4 billion). An import and export value of $2.47 billion was also reported. Huang Qin, mayor of Wuxi, expressed his gratitude for Jabil's contributions to the city's economic development during the launching ceremony. The Wuxi branch of Jabil Electronic achieved the approval to carry out "global maintenance business" from the Ministry of Commerce last year, the only company in the industry in Jiangsu province to attain that approval. 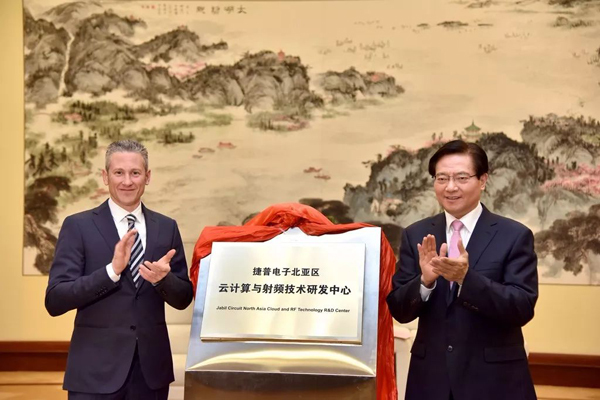 "Wuxi is promoting the creation of an industrial cluster focusing on electronic information and Jabil Electronic is considered one of the important partners," said Huang. "The new center is expected to help Jabil Electronic promote its research and development capabilities and build a complete industrial chain integrating R&D, manufacturing and sales maintenance." Jabil Electronic has carry out its 5G industry in Shanghai and in the future Wuxi will be part of it. The company will invest more in Wuxi to build intelligent workshops and offer more high-tech jobs in the city.